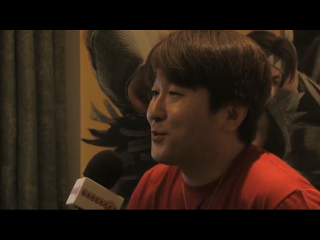 Yoshinori Ono is back in the spotlight for the hype of Ultra Street Fighter IV. See what the series' producer has in store for Comic-Con in San Diego tonight. The 2013 San Diego Comic-Con event is underway. Capcom certainly isn't lurking in the shadows for this event. Like every Comic-Con, Capcom is active during the festivities. One of the ways they are looking to make a huge splash is the Street Fighter panel. There, Ono will be delivering a "state of the union" address on the series tonight (July 19) at 7 p.m. ET. Ultra Street Fighter IV was announced at Evo 2013, so it's possible that more news will be revealed. Here is the Street Fighter portion of Capcom's press release. "Street Fighter – An annual tradition, hear from the CAPCOM team as they deliver the state of the union about the world's greatest fighting franchise to the Street Fighter Nation. Find out the latest Street Fighter gaming news, tournaments, as well as new licensing products and more. PLUS! We are running the first-ever "Mr. & Mrs. Street Fighter" pageant and asking ALL Street Fighter cosplayers to appear in their finest Street Fighter gear! Awesome prizes, ultimate bragging rights, and a personal congratulations from Street Fighter Executive Producer, Yoshinori Ono"
FightVG will keep you posted on any news that comes from tonight's panel.